Why Daredevil Is Not on Blu-Ray? After purchasing the Movie Daredevil action figure and feeling sorry for myself, I found the perfect replacement and apology figure in the Spider-man Classic Daredevil action figure by Toybiz. 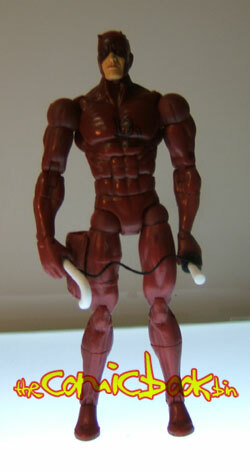 This figure is different from the first Daredevil action figure released a few years before. I'm one of those collector who's put off by too much articulation. This figure has articulations, but fortunately, they are well hidden. 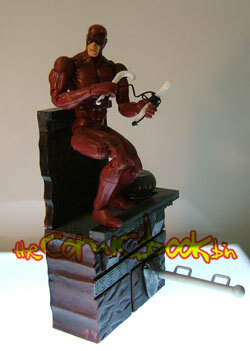 This figure resembles Joe Quesada's Daredevil more than an other artist. The character's bulk and face are straight from Quesada's Daredevil work. 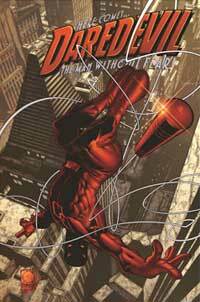 Daredevil sports his classic red suit with boots, gloves and shorts barely noticeable from the rest of his suit. The red is darker than in past stories from before the 1990s. This is the way colourist paint the character these days to make his bright colours more realistic. There are a few problems with the sculpt, although it is very good. Daredevil's deltoids are too large. His feet and toes are too short, compared with his height. His crotch should not be so wide. He's a guy after all. Daredevil's holster is big and doesn't look very good on the figure. The sculptors made it wide enough so that his billy club fit inside. Something thinner like the Movie Daredevil's would have been better. The paint job is simple and it would have been difficult for Toy Biz to screw it. The base plastic is red and there are darker tones all over the figure. The only problem with such paint application is that hidden joints and articulation keep the base red. When one poses the figure, they look bright and detract from the cool looks of the figure. Daredevil's chest logo is painted cleanly. 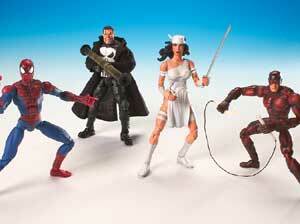 Daredevil is shorter than most other six inch action figures. He's about the same size as the Movie Daredevil. He is shorter than most Marvel Legends and DC Direct action figures. However, he fits very well with other Toy Biz Spider-man Classic figures and even Mattel's Batman and Superman. Daredevil has always look thinner and more compact than other characters like Thor or Captain America. This figure is stable, but not very much. His joins become loose easily and his toes are too short to support his weight properly, even if the figure is not top heavy. This is the type of figure who needs an action figure stand. Toy Biz provides them with most figures. There are at least 32 points of articulations giving the figure much mobility. Toy Biz specializes in double joints which increase the range of motion. For example, there are two articulations per knees. Each bends at 70 degrees. Used together, the knees can bend almost 140 degrees. Toy Biz improved the way it masks articulations. For example the abs articulation is better than the Marvel Legend's captain America. The plastic is soft but looks durable enough. It was probably chosen because of its flexibility. However, it's easy to chip parts of it. It may also be a problem in warmer months. The figure comes with a wall mountable rooftop with an action feature in the flagpole. When one pulls on a rope under the rooftop, and put Daredevil's hands on the flagpole's handle bars, the figure flips in the air like an gymnast. The figure doesn't hold well on the flagpole so it will probably fall on the ground. However Toy Biz had the forethought of adding peg holes on the rooftop where one can place the figure solidly. The only props are the two nunchakus or billy clubs that Daredevil uses. They are tied together at the bottom. If they had been red, they would have looked better. They would have been cooler if they could connect at the base. Toy Biz packages for the Classic Spider-man series are poor. There are no bios of the figure, just the standard plug on Spider-man, instructions on the flagpole spinning feature and images of other products from the line. Toy Biz probably included Daredevil in this series instead of the regular Marvel Legends because the action figure from the movie was marketed as a Marvel Legends figure. Prices for Toy Biz action figures are all over the place. It also depends on one's location. Because this figure was originally short packed, its price was sometimes in the $20 range. Mass retailers often sell them almost at cost for about $8. Comic book stores and other specialty retailers' price vary between these range. The short pack seems to have diminished and the price of this figure should be stable. At first, it was very difficult to get this figure. 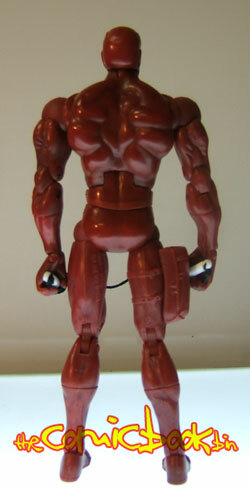 When Toy Biz offered it within the Urban Legends' Gift pack, demand lowered and scalpers got poorer. It seems that the figure is available individually in several places online and offline. Compared with the first six inch Daredevil figure or the one from the movie, this one is the best.